If your business is small and you are thinking about getting a good accounting package for your business then I have something cool for you. 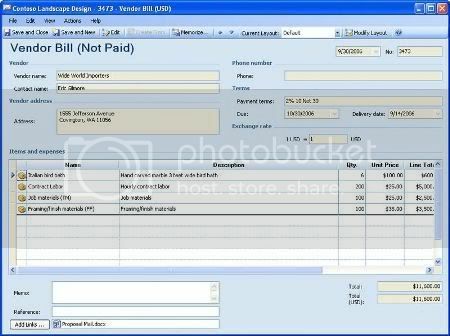 You can now get Microsoft Office Accounting Professional 2008 absolutely free of cost. Well, if you aren’t familiar with Microsoft Office Accounting Professional 2008, it’s a complete accounting solution designed for business owners, bookkeepers, and office managers in any company with up to 25 employees. If you are worried about the user interface then you don’t really need to as it’s similar to any other Microsoft Office software. Using this software you can easily create quotes, invoices, track expenses and transactions automatically, automate bank accounts and customer payments, manage payroll, track Employee time and costs, etc. All these things will allow you to organize your daily business transactions and activities with ease and will help you to make better decisions, reduce time wastage, improve productivity, etc. You need to enroll your organization in the Microsoft Professional Accountants’ Network (MPAN). Here you’ll have to provide your organization contact information, personal contact info, sign the Microsoft Partner Program legal agreement for your organization, and complete the registration process by providing profile information about you and your organization. Well, if you still aren’t able to get it then here’s an easier way to get it. Click here to generate your free Microsoft Office product key and then download the X14-19363.EXE installer. You need to enter your email ID and nothing more. Once you get the activation code you can activate your copy online. Thanks Raymond for sharing this wonderful promotion.